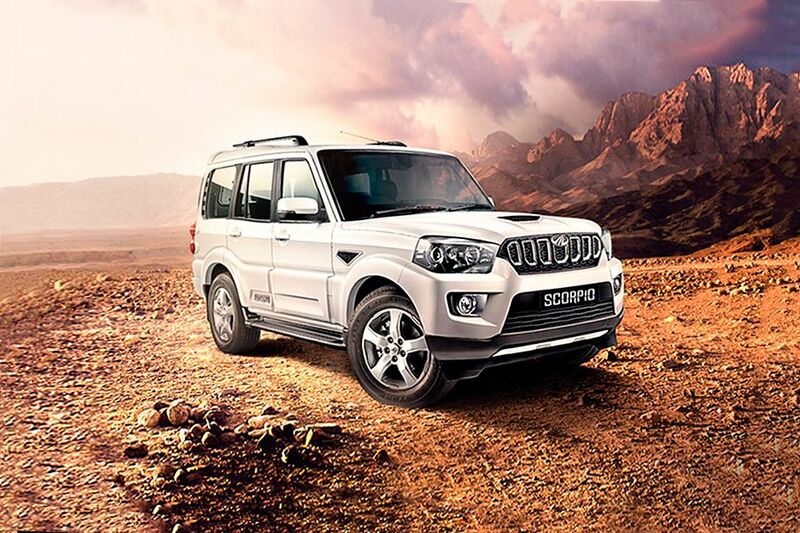 Mahindra Scorpio comes with a 2179cc mHawk diesel engine that generates 120 bhp of power at 4,000 rpm along with a torque of 280 Nm between 1800 – 2,800 rpm. 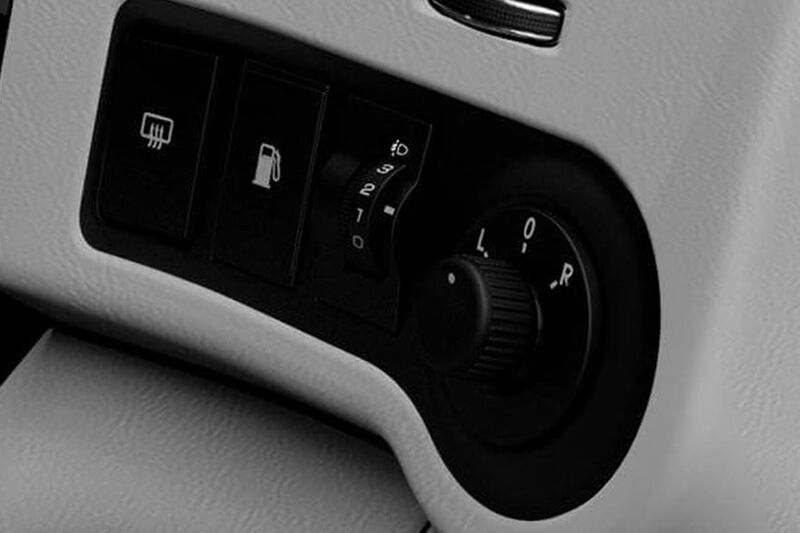 It enables the vehicle to deliver a mileage of 15.4 kmpl. The S2 trim offers a m2DICR engine which develops a power of 75 bhp at 3200 rpm and maximum torque of 200 Nm at 1400-2200 rpm. 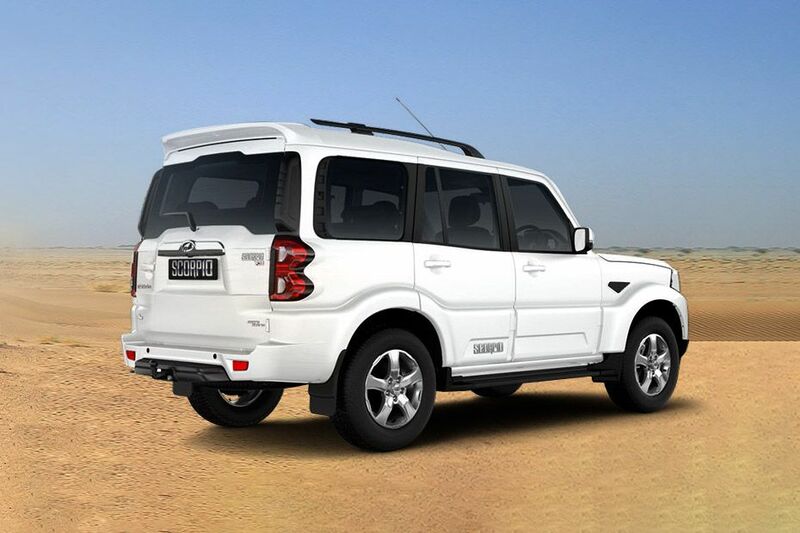 The biggest rivals of Mahindra Scorpio are the Tata Safari Storme and Toyota Innova. 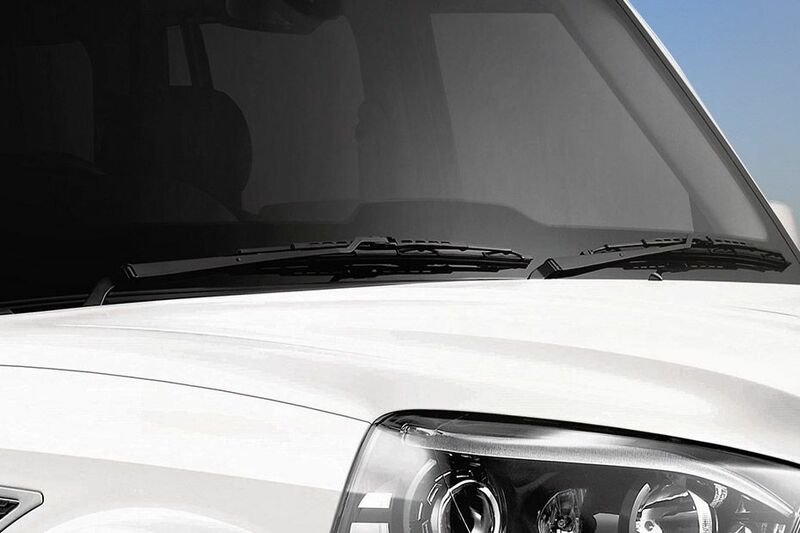 , Safari Storme is currently available with just one 2.2-litre diesel engine option. 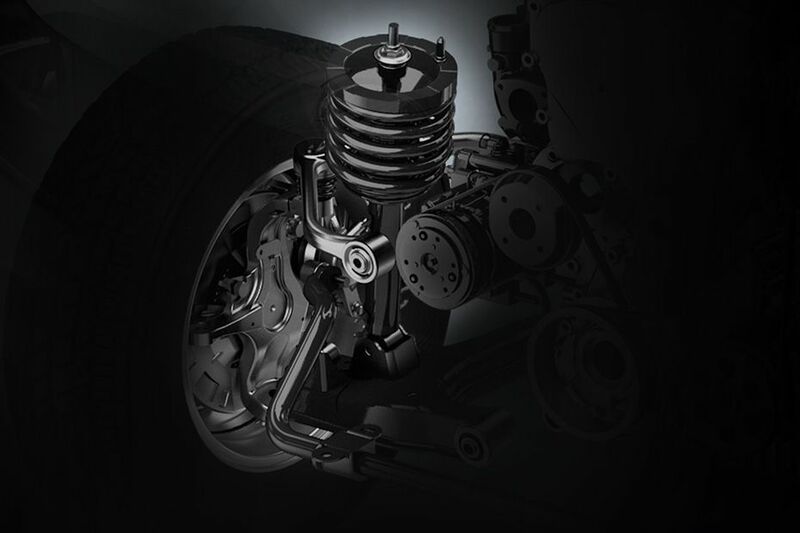 , This 2.2-litre 2179cc oil-burner produces power in two states-of-tune. This mill in base and mid range trims produces 148bhp of power with a torque of 320Nm. 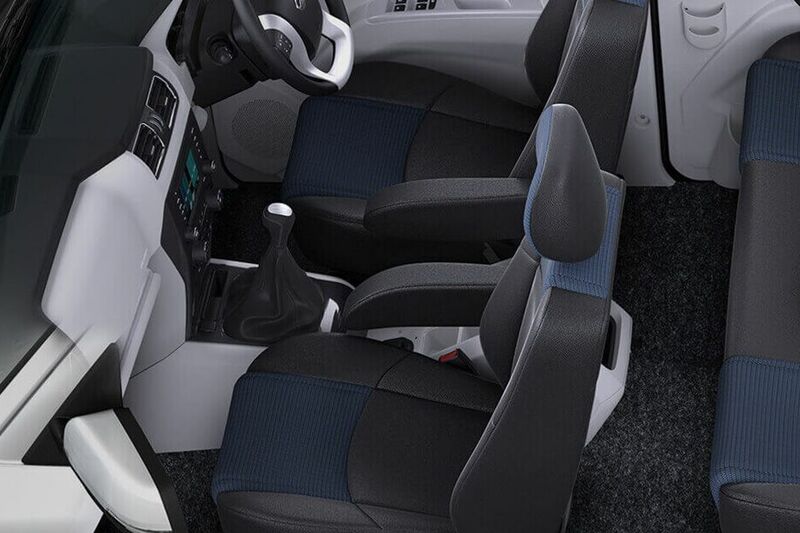 The same in high-end version unleashes power and torque of 154bhp and 400Nm , Both tunes offer a mileage of 4.1 kmpl. 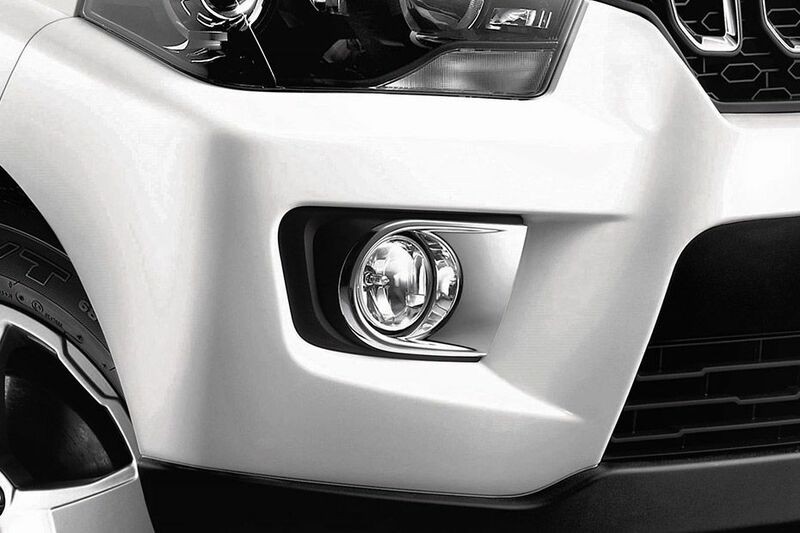 The headlight cluster on Mahindra Scorpio has a bold appeal and is housed with projector headlamps along with stylish LED eyebrows. 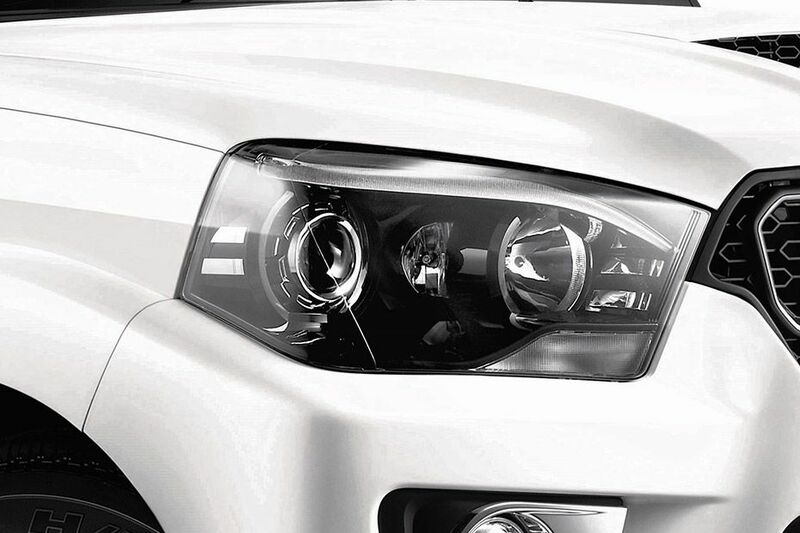 This SUV has an aggressive front facade that looks more dynamic and bolder than its predecessor. 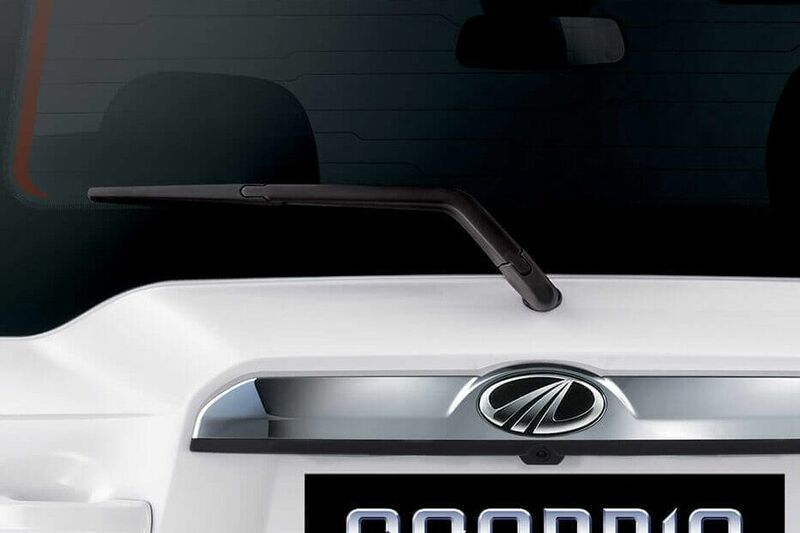 It has signature Mahindra grille with vertical slats coated in chrome. 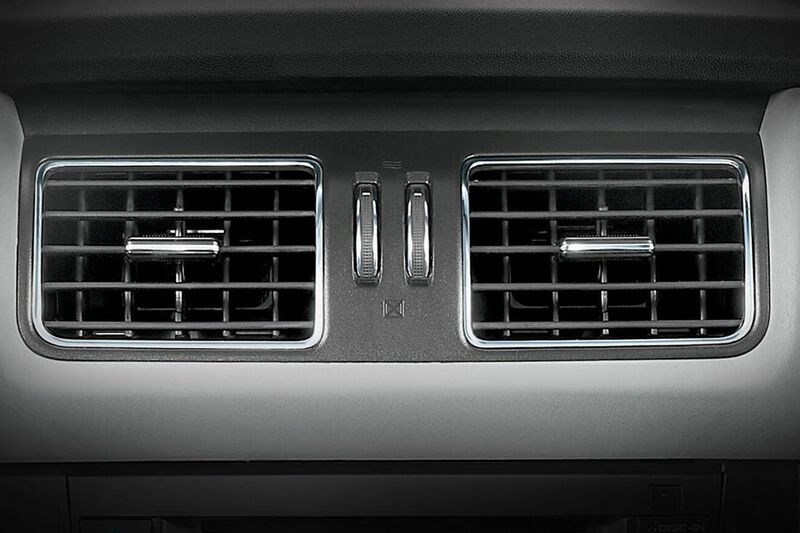 It is further complimented by the company's insignia. 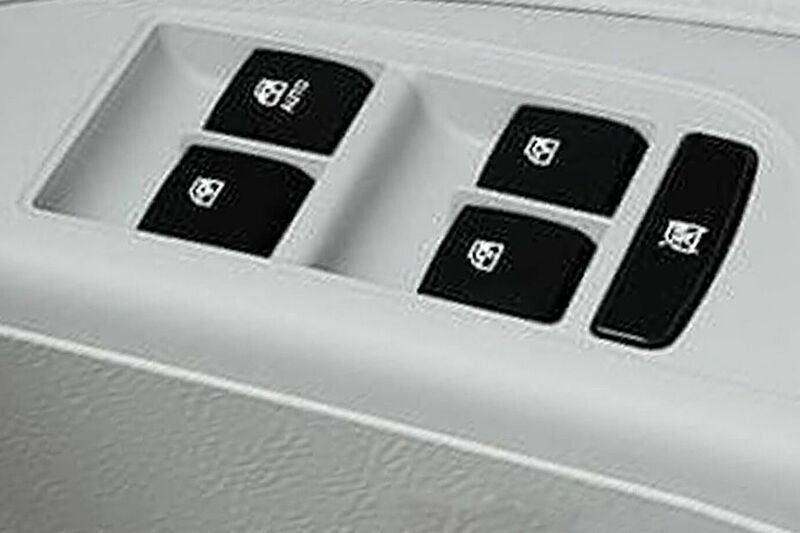 Variants from S6+ have been offered with remote central locking system, while the rest have manual central locking. The S2, S4, S4+ and S6 trims are available with 15-inch steel rims, embraced with P215/75 R15 sized radial tubeless tyres. 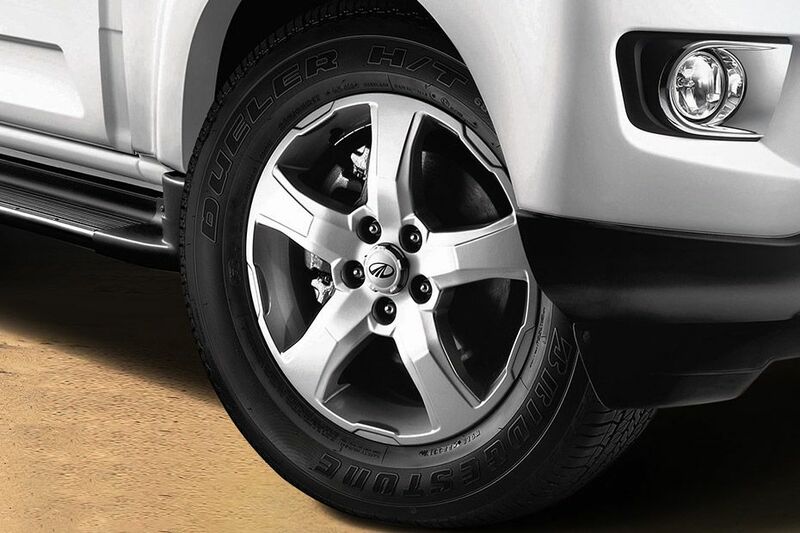 The remaining trims come with 17 inch alloy wheels covered with P235/65 R17 sized radial tubeless tyres. 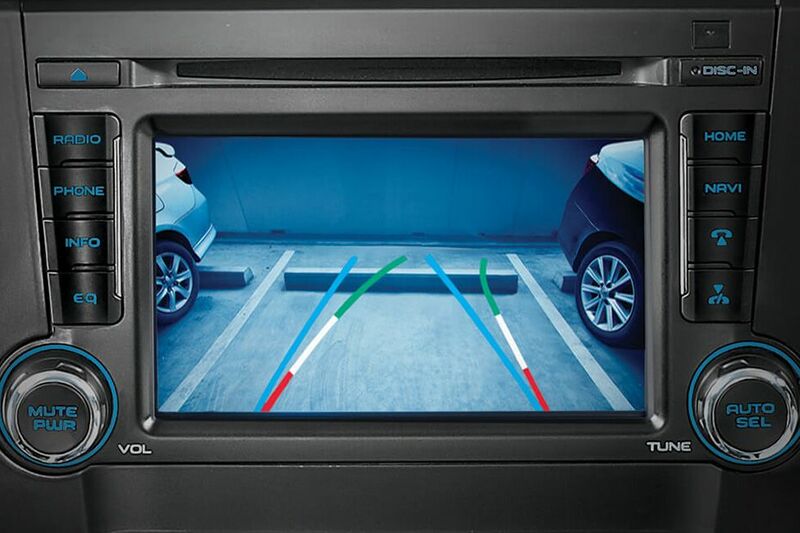 , Ground clearance of this SUV is 180mm. 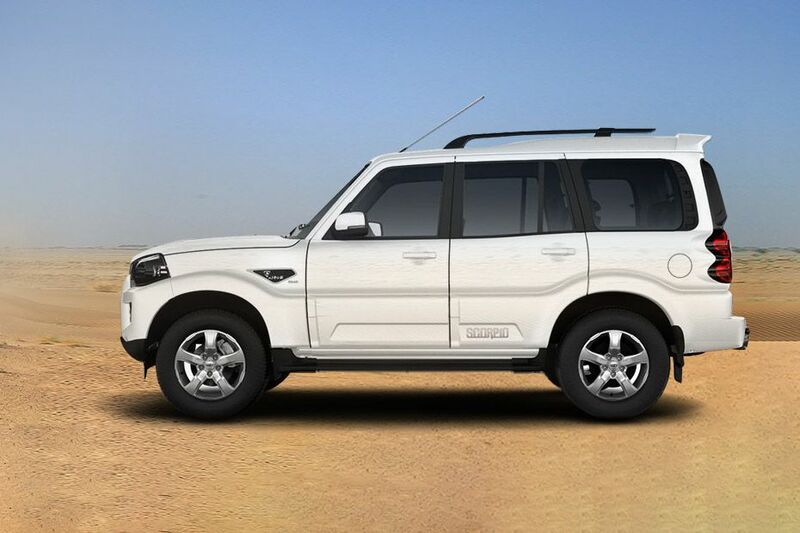 The top end variant of Safari Storme comes with alloy wheels, while the base and mid range trims have 16 inch stylized steel rims. They are wrapped in 235/70 R16 sized tyres. 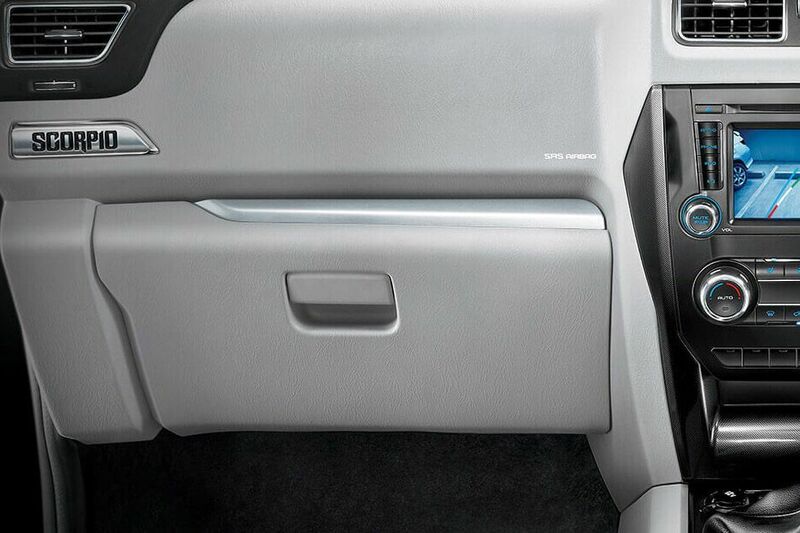 , The ground clearance of the SUV is 200mm. 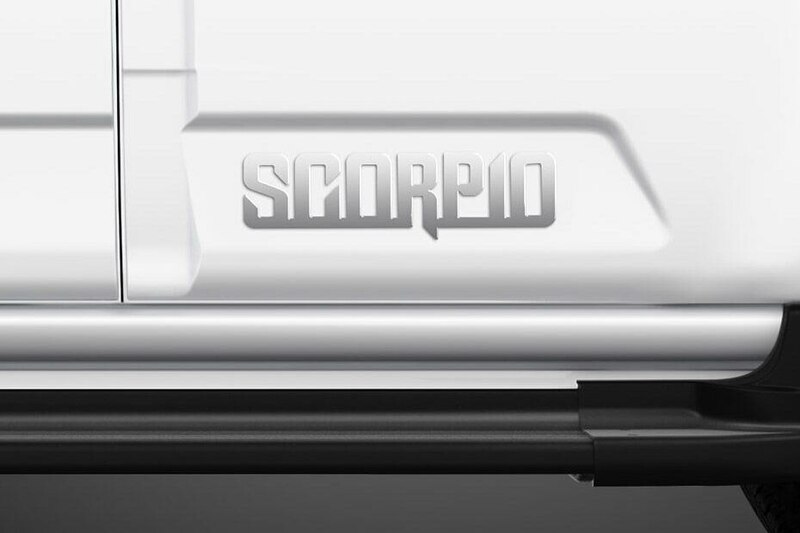 The dimensions of Scorpio are: 4456mm x 1820mm x 1995mm (L x W x H). 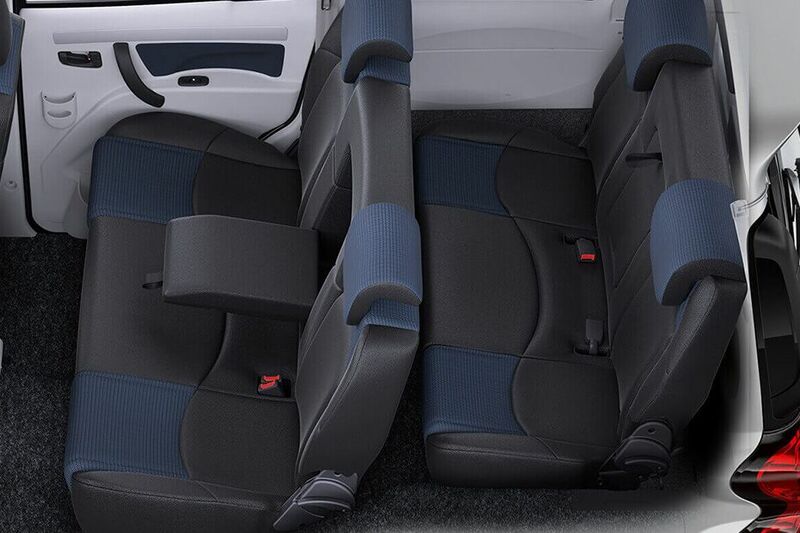 , Ground clearance of the vehicle is 180mm. 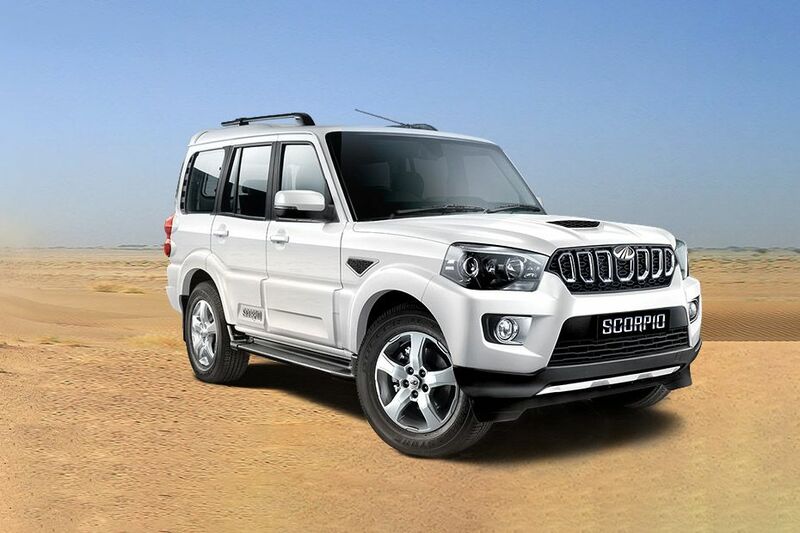 Mahindra Scorpio comes in 5 color options: Diamond White, Mist Silver, Fiery Black, Molten Red and Regal Blue. 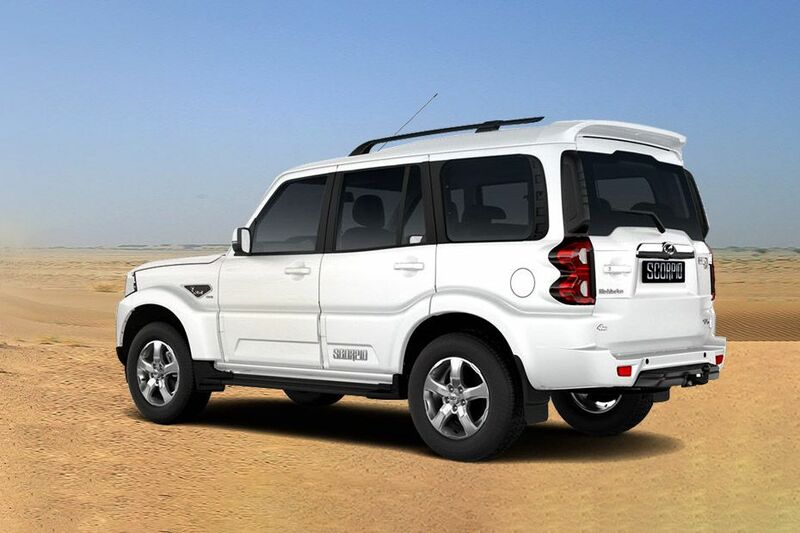 Safari Storme is longer and wider than Scorpio, but stands short in terms of height. 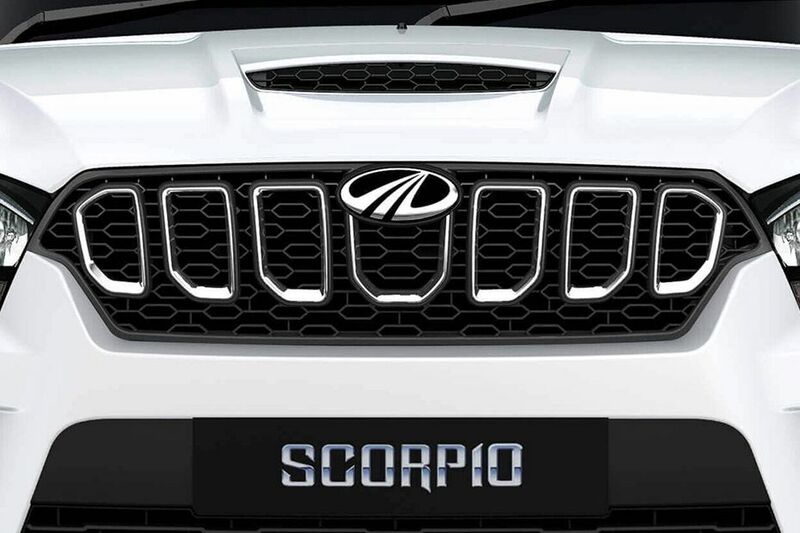 Its dimensions are 4655mm x 1965mm x 1922mm (L x W x H) , Innova is longer than Scorpio, but its width and shorter in terms of hight. It measures with a length of 4585mm, width of 1765mm and stands at a height of 1760mm. 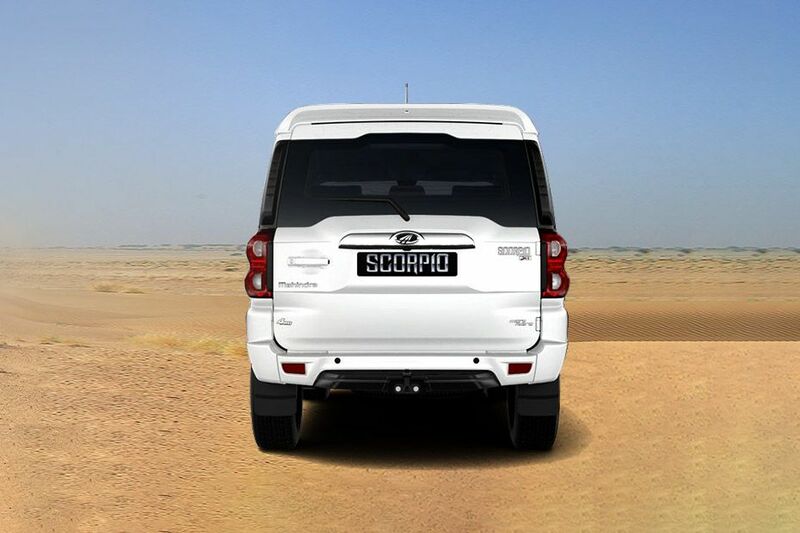 Scorpio gets a large and well-designed tail light cluster that is equipped with luminous lamps and turn indicators. 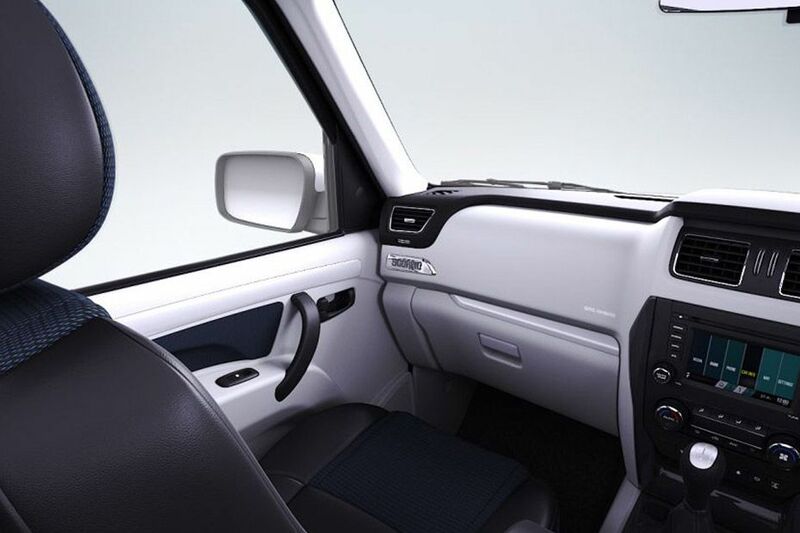 Mahindra Scorpio is designed with a luggage compartment of 460 litres. 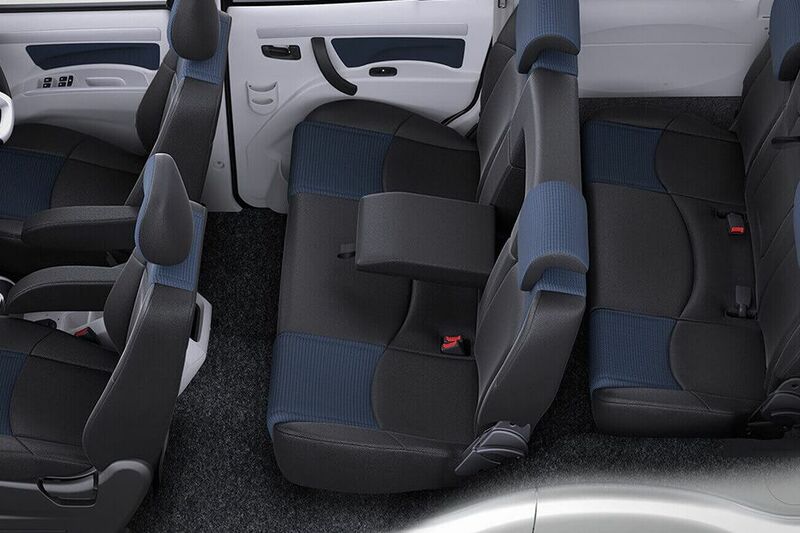 The cargo volume of Tata Safari Storme is 981 liters and it is 300 litres in Toyota Innova. 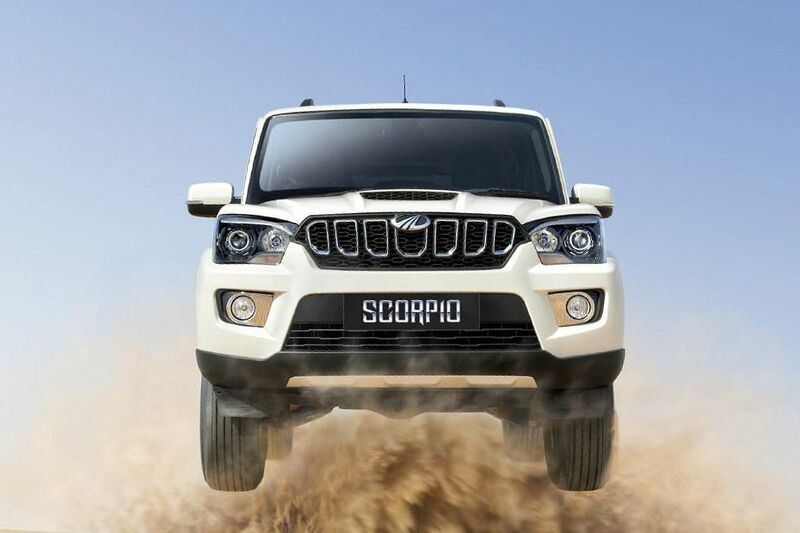 Scorpio is incorporated with a hydraulic power steering column that also has tilt adjustment function. 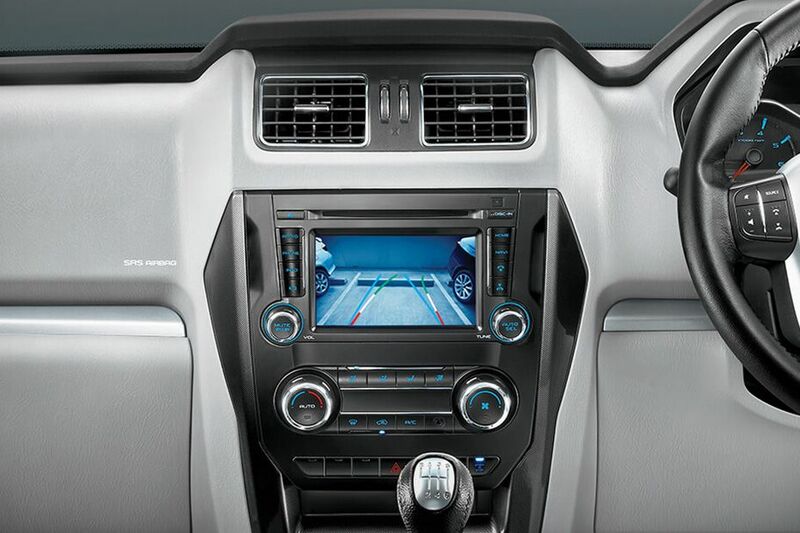 It is mounted with cruise control switches in the S10 trim. 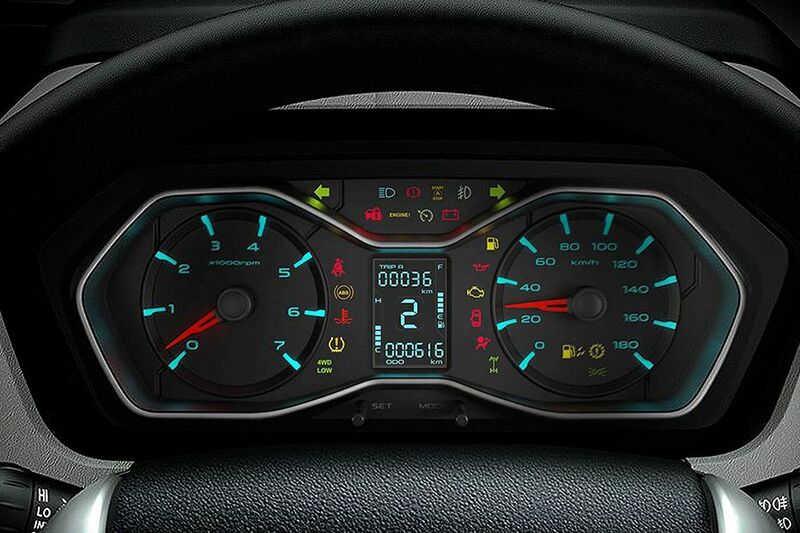 The instrument panel includes a tachometer, electronic multi-tripmeter, digital odometer, outside temperature display and a few other indicators. 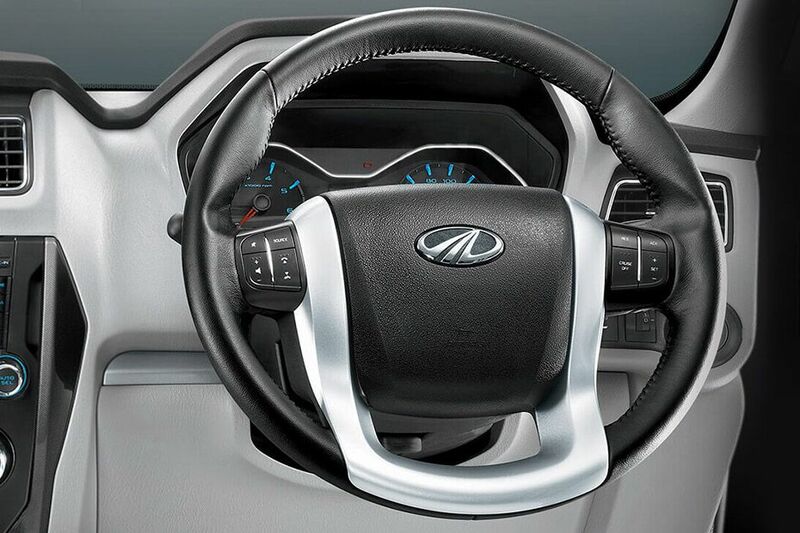 Mahindra Scorpio gets a 5-speed manual as well as a 6-speed automatic transmission options. 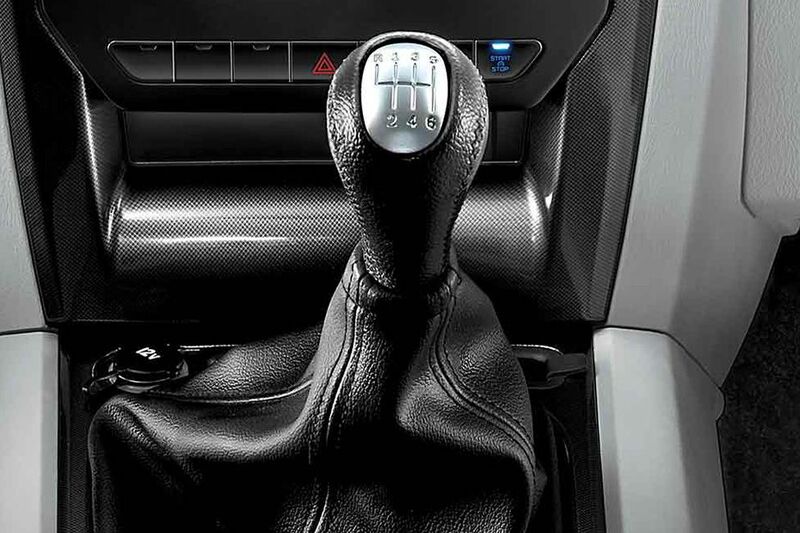 A 5-speed manual transmission is present in the Innova model series. 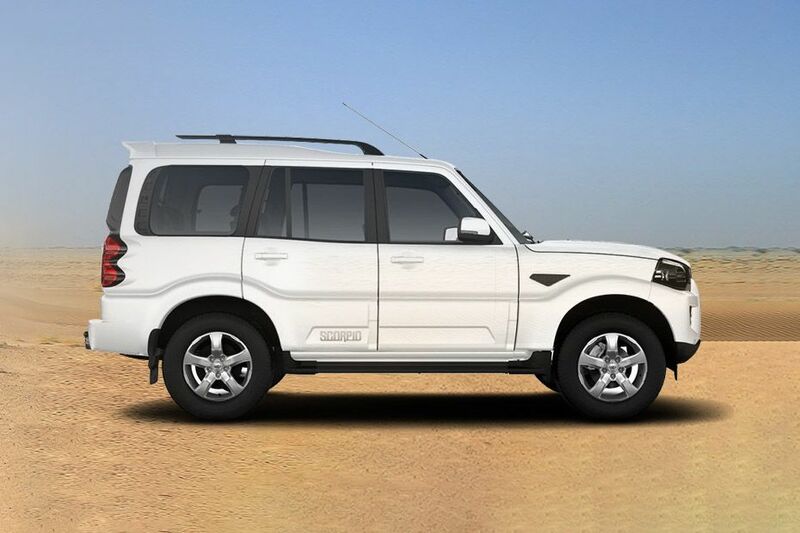 , The top end trims of Safari Storme have a 6-speed manual gearbox, while the rest of them have a 5-speed manual transmission. 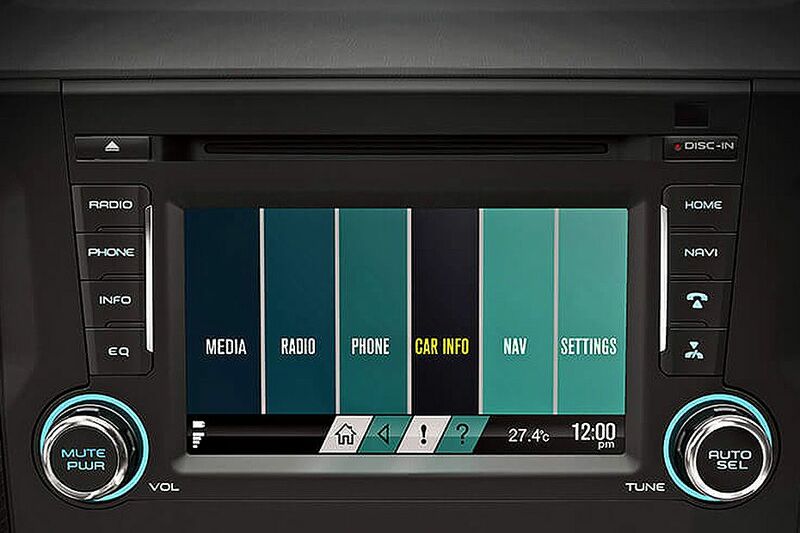 The top-spec trim gets a 6-inch touchscreen infotainment system. 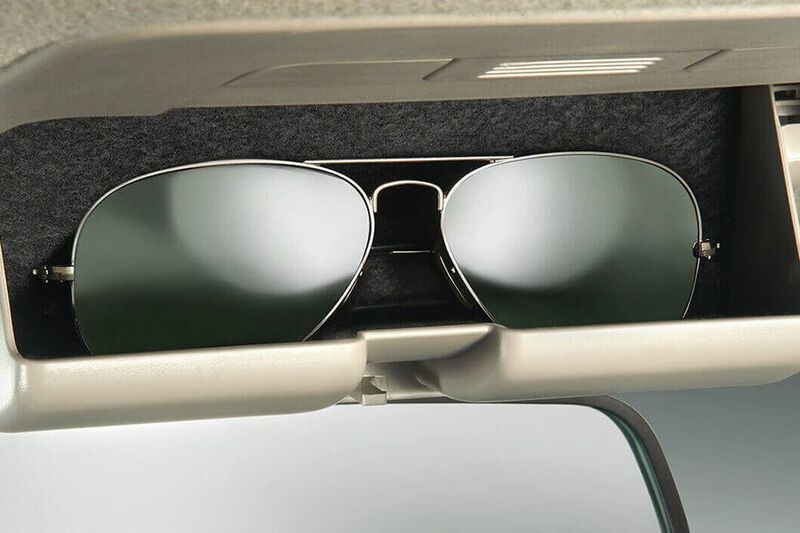 This supports Bluetooth connectivity, USB port, Aux-In options and has GPS Navigation in ten languages. 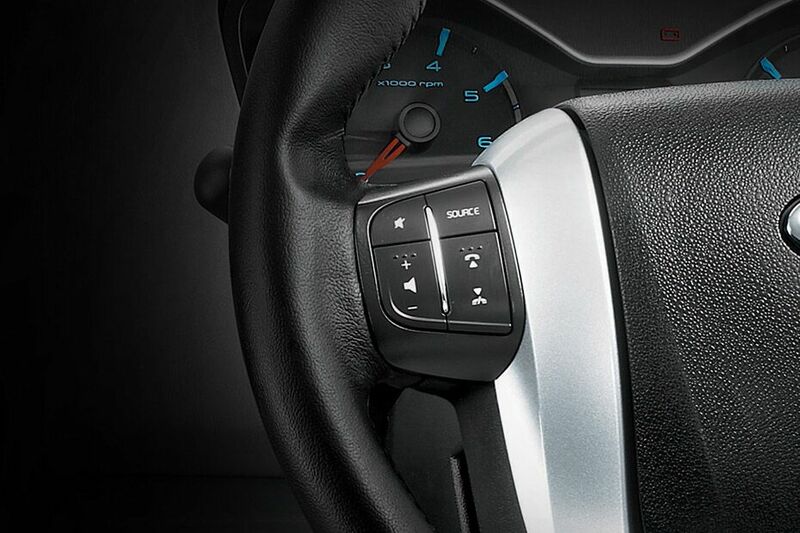 Whereas, the S6+ and S8 variants have a 2-DIN audio unit along with voice assist system. 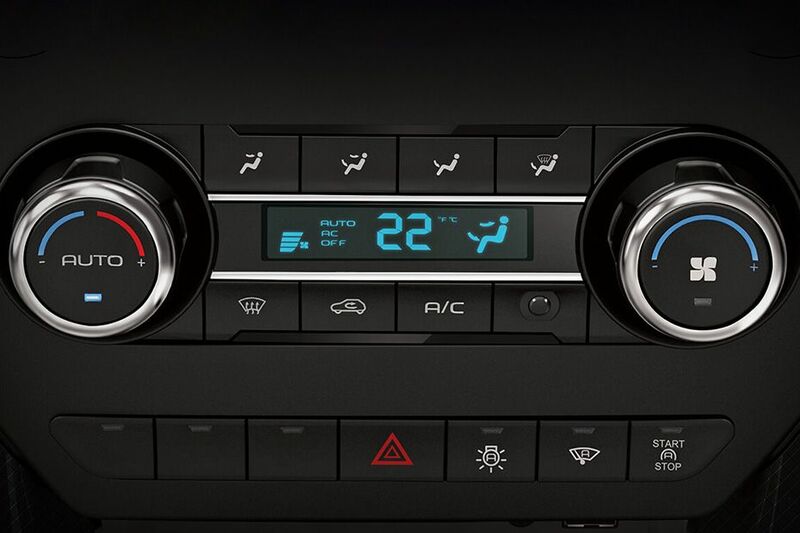 , HVAC unit is present in the entire lineup, while the S10 model additionally gets fully automatic temperature control. 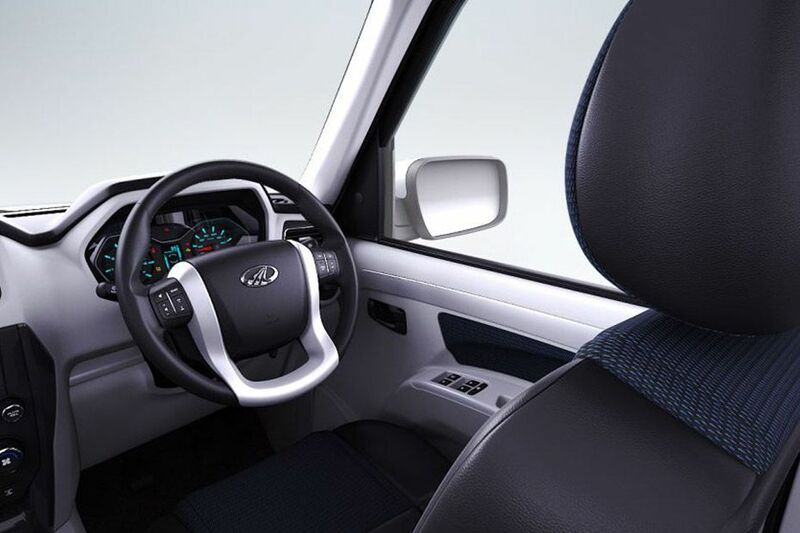 All its variants have power operated windows. 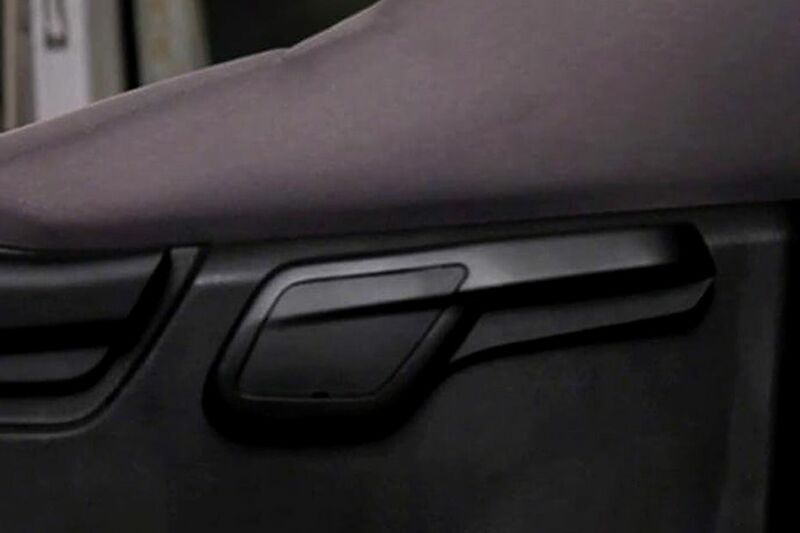 The switches are present on the center console in S2 and S4 trims, while the remaining models have them on door trims. 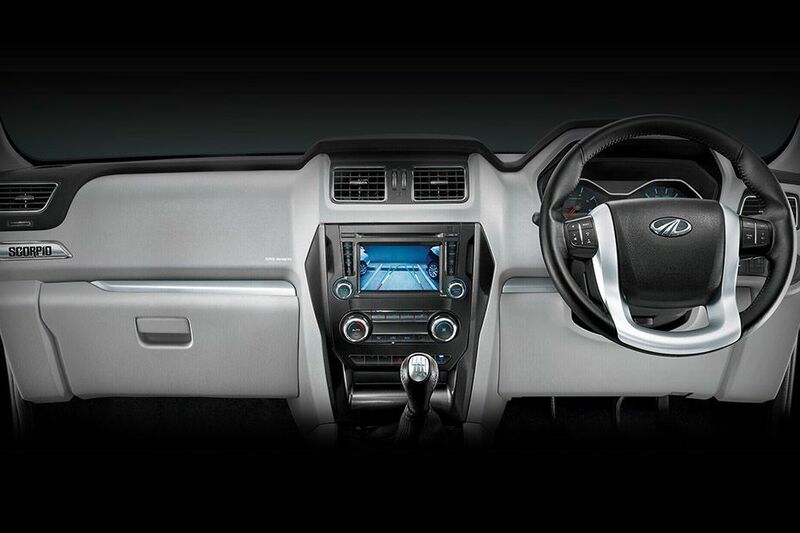 Mahindra Scorpio comes with a few storage spaces like glove box compartment, front cup holders and have bottle holders in its front and rear doors. 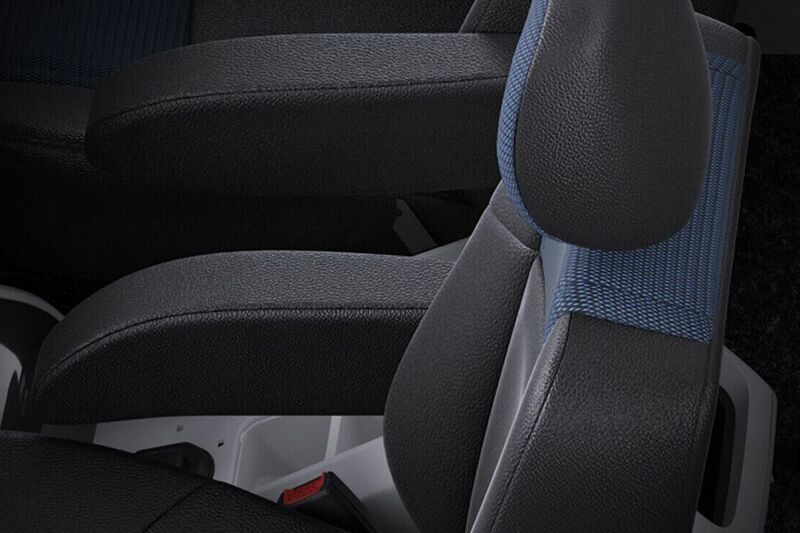 Excluding the S2 and S4 trims, all other variants in this model are bestowed with dual front airbags. 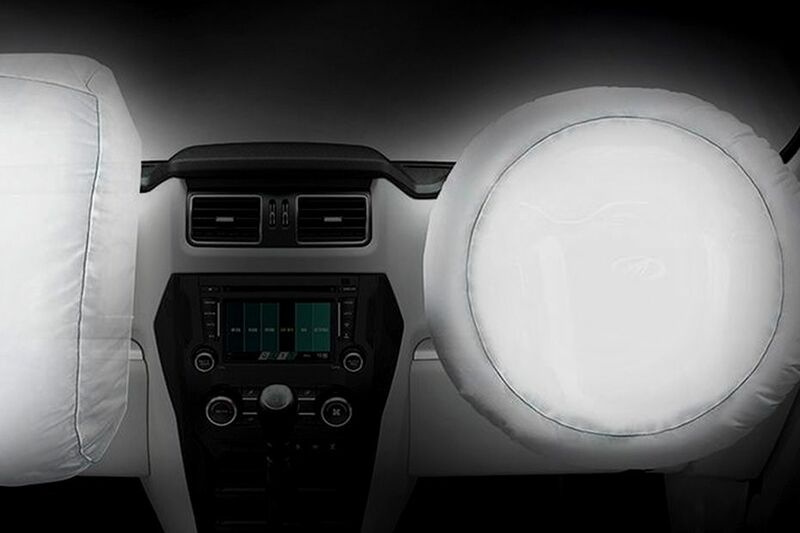 Dual front airbags are given as standard in Innova, whereas the Safari Storme has them only in its mid and top end trims. 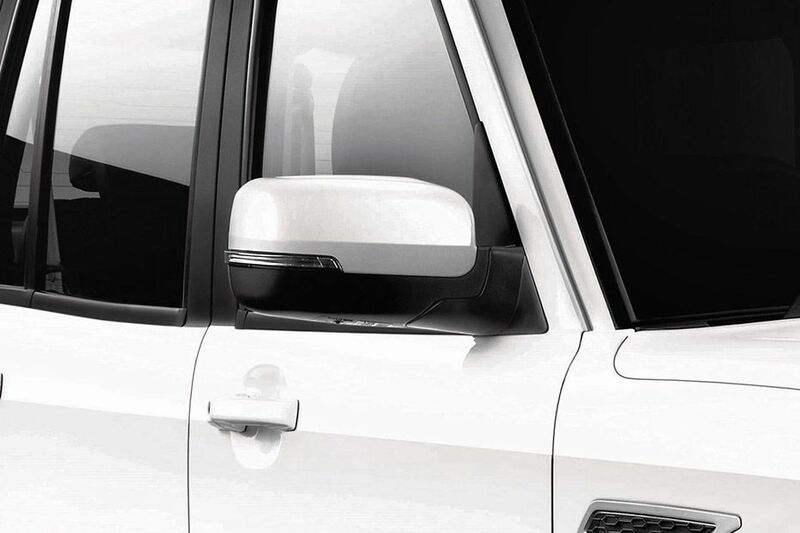 Scorpio and its competitors have height adjustment facility in the driver's seat. 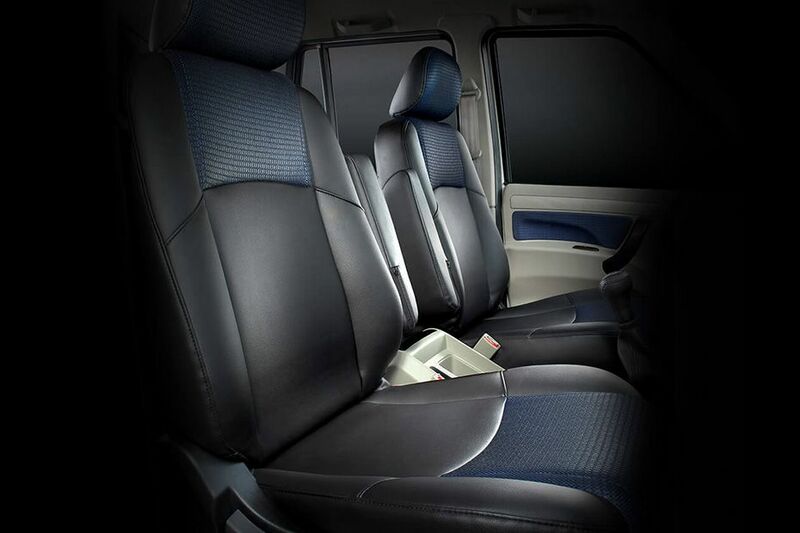 Scorpio provides ample shoulder space, but the leg room in Innova is much adequate thus, adding convenience to all its passengers.